VCE Top Designs—frankie Editor Jo Walker Talks to Media Students. Last Thursday frankie editor Jo Walker spoke to VCE students studying media and design at Melbourne Museum, as part of their annual VCE Top Designs exhibition. The forum was also headed by two VCAA State Reviewers, who got the event off to a promising start when they asked the students if any of them read magazines as inspiration for their projects, and a tumbleweed blew by. Walker can count me as one of her loyal subjects, and I hung on her every word. Granted, a lot of it is stuff I’ve heard before, as it’s been five and a half years since I graduated from high school, but interesting nonetheless. She spoke about frankie’s humble beginnings, the founding editors Louise Bannister, who left not long after the mag’s inception to backpack around Canada, and Lara Burke, who’s still there as creative director today. Walker described frankie as a “general interest magazine for hipsters”, which I have to say was a turn off, as I can’t stand hipsters! But, like my friend Zoe, who looks like a hipster on the outside, but is really just a normal, cool, great person on the inside, frankie is similar. Walker said it’s easier to describe what frankie isn’t than what it is: it’s not a colourful, mainstream mag about how to please your boyfriend in bed. frankie readers already know how to do that, according to Walker! 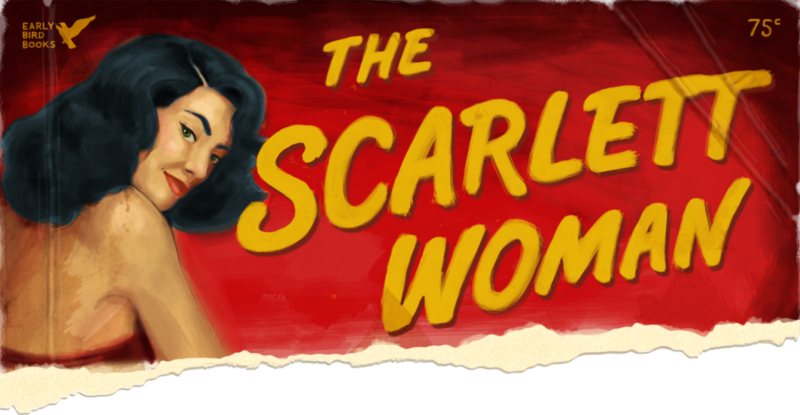 The mag is inspired by “random conversations in pubs”, bookstores, news shows like ABC’s Australian Story, the internet, social media and frankie staff’s favourite blogs (no word on if The Scarlett Woman is one of them!). But essentially, if editors Walker and Burke like it, it goes to print. frankie has stopped using models for its fashion shoots (though not for the cover evidently), instead using musicians in what could be seen as a token gesture to silence its critics. Stepping away from the typical frankie-esque story, this month has a “frankie weddings” special, which Walker described as “not just another [Cosmo Bride] wedding story”. I was so inspired by the talk and the amount of references to the current issue, I went out and bought a copy, even though I don’t get paid til next week and had already exhausted my magazine allowance! Related: George Michael Paper Dolls in Independent Zine ZINm. 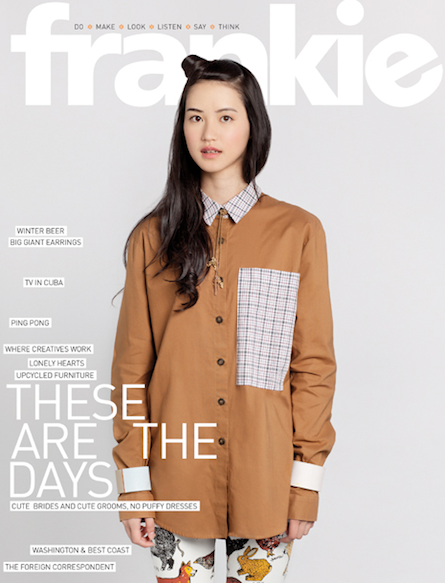 Elsewhere: [Musings of an Inappropriate Woman] Why It’s Worth Talking About frankie Magazine. Image via Girl with a Satchel.